PureVision 2 for Presbyopia are a new generation of multifocal contact lenses. They have a monthly replacement schedule and are designed to ensure clear and sharp vision at all distances. Purevision 2 for Presbyopia are produced by Bausch and Lomb and intended for the correction of presbyopia. This eye defect is a natural sign of the human body aging and causes limited vision at short distances. The advanced design of Purevision 2 for Presbyopia allows sharp vision at all distances. This package contains six lenses. Purevision 2 for Presbyopia lenses are made from silicone-hydrogel materials that provide a sufficient supply of oxygen to the cornea. The brand's patented ComfortMoist technology all-day comfort in any conditions. These lenses are suitable for regular, daily wear, as well as continuous wear, if approved by your eye-care professional. Noticeable change in my vision wearing these. It feels like it's alot sharper and clearer all round. Generally more comfortable than previous lenses. Little tricky at times to put them in but i really like them. 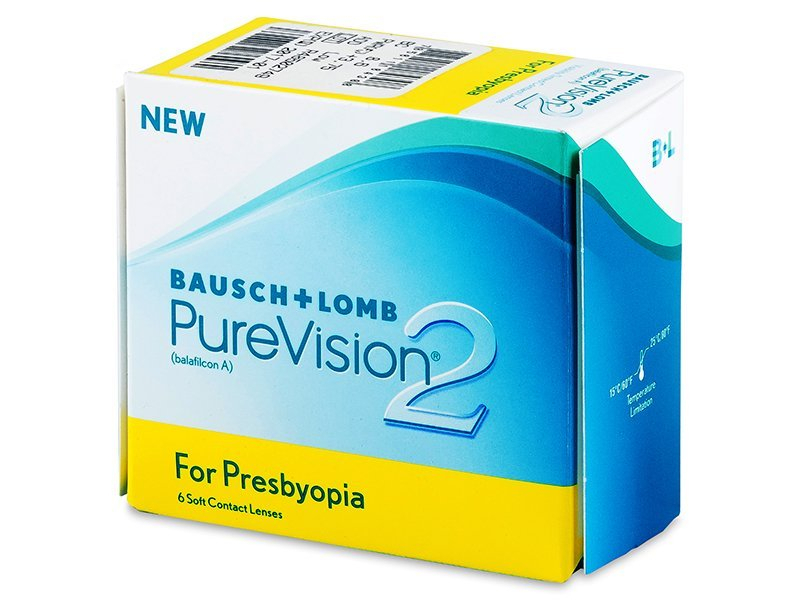 Do you have any Purevision 2 presbyopia rebate or coupon?